It is undeniable that a proportion of actively managed funds underperform. A large proportion of the fund management industry are inefficient and extract huge value from investors’ funds via charges. Over the last 10 years the skill of fund managers has increasingly been called into question, and an ever-growing number of investors, advisers and investment analysts now see a passive investment approach as a better option. Advocates of passive investing promote a generalist view that passive funds outperform active funds over the long term, quoting various reports and statistics to support their viewpoint. However, the reality is, despite a large proportion of active funds underperforming, there are still a considerable number of high-quality active funds deliver higher growth than their passive rivals and have been consistent in doing so. The popularity of passive funds providing low-cost exposure to the market by tracking an index, has grown four times faster than their active counterparts since 2007, this has reduced the market share of active funds across the overall base of UK assets from 83% a decade ago to 74% today. The popularity of passive investments has also led to the growth of ‘Robo-Advice’ platforms - which generally recommend portfolios of cheap Exchange Traded Funds (ETF’s) to investors based on their risk appetite. However, as identified in our recent feature analysing Robo-advice platforms, the performance of their portfolios has been hugely underwhelming. Nonetheless, the momentum of passive investing continues to snowball and fund supermarket giant Hargreaves Lansdown, which holds nearly £60bn of UK retail investors’ assets, says 1 in 10 investors now hold at least one passive fund in their portfolio — up from 6 per cent in 2011. Although passive strategies are gathering traction, the UK remains well behind the US when it comes to the use of passive investments. 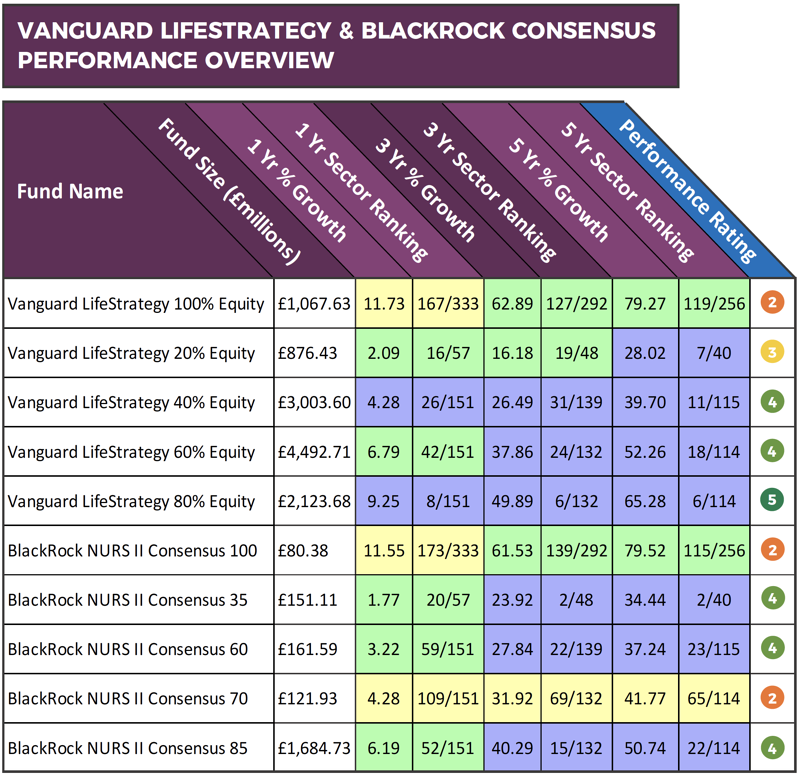 In recent times, passive strategies such as the Vanguard LifeStrategy and BlackRock Consensus range have become an increasingly popular choice for UK investors. The rise of Multi-Asset strategies has helped to boost the appeal of these 10 prominent passive funds that combined have more than £13 Billion of client funds under management. 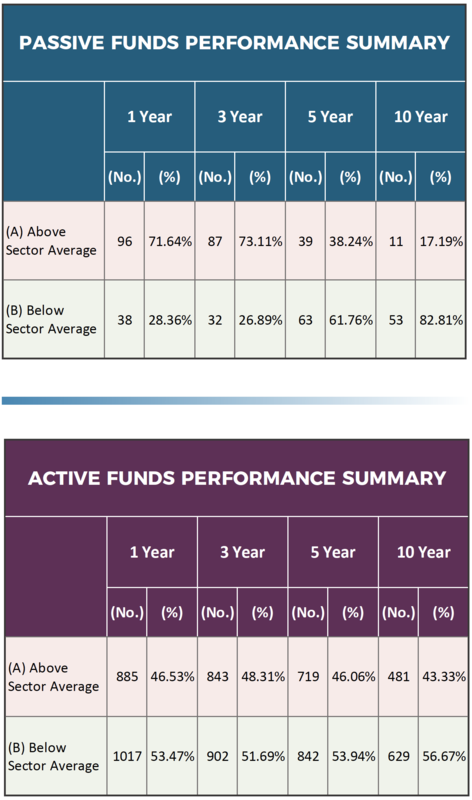 For the most part, these funds have fared well in comparison to all other competing active and passive funds within the same sectors, although only the Vanguard LifeStrategy 40% equity and 80% equity funds maintained consistent top quartile performance in their sectors over the past 1, 3 & 5-years. Performance figures up to 1st October 2018. View the full report in the October 2018 edition of the Yodelar Investor Magazine. It is important to note that actively managed funds returned the highest growth in these sectors over the past 5-years. The following 4 actively managed funds share the same investment sector as the Vanguard LifeStrategy and BlackRock Consensus funds. Each fund has consistently been a top performing fund in their sector. The associated fund manager of these funds have demonstrated a level of expertise within their respective sectors. 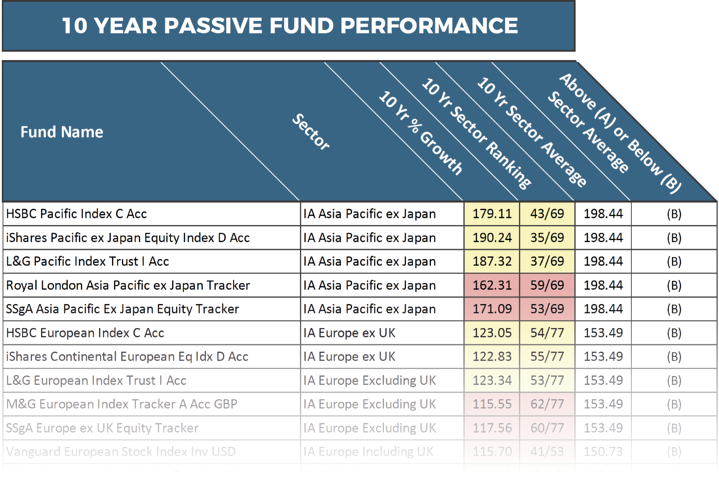 To gain factual insight as to how the performance of passive funds compare to their actively managed counterparts, we analysed the recent 1, 3, 5 & 10-year performance for each sector classified passive fund and compared their performance alongside all active funds within the same sectors. By identifying the average growth in each sector over the past 1, 3, 5 & 10-years, we were able to calculate the number and percentage of passive and active funds that returned growth above and below their sector average. The analysis identified that over the recent 10-year period over 82% of passive funds, that had been categorised within a sector by the investment association, performed worse than the sector average. In comparison, 57% of actively managed funds, that are categorised within the same sectors as the passive funds, managed to return growth that was above the sector average. The contents of the above tables is based on fund performance figures up to 1st October 2018. View the full report in the October 2018 edition of the Yodelar Investor Magazine. 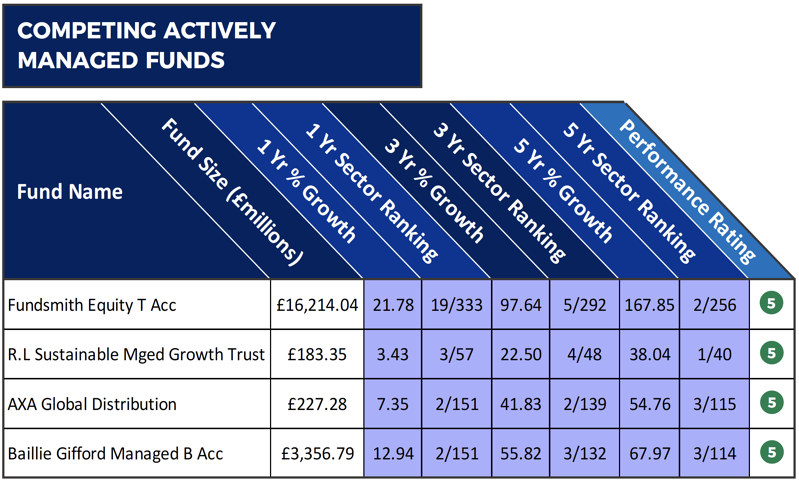 The following table provides the recent 1, 3 & 5-year performance and sector ranking for each of the 134 passively managed unit trust and OEIC funds in the (IA) Investment Association universe. This analysis found that only 3 of the funds had been able to return a level of growth over the past 10-years that were greater than at least 75% of competing funds within the same sector. These three funds were the L&G Global Health & Pharmaceuticals, L&G US Index Trust, and the HSBC FTSE 250 Index fund. The L&G Global Health & Pharmaceuticals fund returned cumulative growth of 317.88% over the past 10-years, which was better than 96% of same sector funds and well above the sector average of 188.29% for the same period. In comparison, the best performing actively managed fund within the same sector was the Baillie Gifford Global Discovery Fund. Over the recent 10-year period this fund returned cumulative growth of 562.22%. The four-star rated L&G US Index Trust had 10-year cumulative growth of 305.26%, which was also above the sector average of 276.7% for the same period. One of the stellar active funds within the same sector was the Baillie Gifford American fund. This consistent top performing fund returned 10-year cumulative growth of 442.12%. The third and final passive fund to secure 10-year cumulative growth that was above at least 75% of its rivals was the HSBC FTSE 250 Index. This UK All Companies fund seeks to match the return of the FTSE 250 Index, and over the past 10-years, it managed cumulative growth of 219.48%, which was comfortably above the sector average of 162%. However, the top performing fund within the UK All Companies sector over the past 10-years was the Slater Growth fund which comfortably outperformed the market by returning exceptional growth of 442.12%. Access the full report in the October 2018 edition of the Yodelar Investor Magazine.  Currently, there are 3119 sector categorised unit trust and OEIC funds within the (IA) universe. 2543 of these funds have at least 5-years history, of which, 248 or 9.7% had managed to achieve top performance by consistently returning growth that was higher than at least three-quarters of the funds in their sectors over the past 1, 3 & 5-years. With less than 1 in 10 funds maintaining top quartile sector ranking over the recent 1, 3 & 5-years, it is essential that investors in active strategies choose carefully in order to find a good active manager, that can outperform peer fund managers. Out of these 2543 funds a staggering 728, or 28.6%, had consistently delivered returns that were in the bottom 25% of their sectors over the recent 5-year period. With 1 in 3.5 funds consistently performing in the bottom quartile, it is easy to see why the skills of fund managers has been questioned and also why passive funds have become so popular. Despite these sobering figures, there are still more than 240 funds available to UK investors that have consistently outperformed at least 75% of their peers. A proportion of active funds underperform and provide little value to investors who would likely save a considerable amount in fees and secure greater returns by investing in suitable passively managed funds. However, the opportunities presented by fund managers who have consistently outperformed the markets can be significant. These fund managers have steered their funds through challenging market conditions and still maintained a top quartile sector ranking. Investing in such funds enables investors to maximise their investment returns in a manner suitable to their risk profile and overall investment objectives. With thousands of funds and share class options available to UK investors, it is inevitable that a proportion are going to under-perform and a percentage are going to excel. However, the ratio of which becomes insignificant when investors can identify the high-quality funds and fund managers. Our research shows that passive funds may outperform poor and mediocre active funds, but they are not able to reach the levels of growth returned by high-quality funds managed by the best fund managers. When research is applied we believe active investing still offers UK investors more value.